The Blatant Errors in the SkepticalScience Video “Global Warming over the Last 16 Years” | Watts Up With That? David Rose’s October 2012 article in the MailOnline generated a multitude of responses around the blogosphere. The article was titled Global warming stopped 16 years ago, reveals Met Office report quietly released… and here is the chart to prove it. There have been so many blog posts about the article it’s not practical to list them all. SkepticalScience—a blog run by advocates of human-induced global warming, not global warming skeptics—attempted to counter the Rose article a number of times. They included a YouTube video in their January 2013 effort 16 More Years of Global Warming. The following YouTube video On the SkepticalScience Video “Global Warming over the Last 16 Years” is my reply to it. It illustrates and discusses the blatant errors contained in the SkepticalScience video. I’ll go into more detail in a follow-up post. I simply wanted to upload this video in advance of that more-detailed discussion, which will be an update of and expansion on previous posts. UPDATE: My apologies to those who are new to this discussion. I tried to limit the time of the video and that meant I couldn’t include a detailed explanation of the mechanisms that cause the natural warming of the oceans. However, I should have provided links to additional information in the post. The primary mechanism for the natural warming of the global oceans is El Niño-Southern Oscillation. It is discussed in detail in the following two-part video series titled “The Natural Warming of the Global Oceans”. Links: Part 1 and Part 2. Also refer to the illustrated essay “The Manmade Global Warming Challenge” (42MB). April 7, 2013 in Alarmism, ENSO, Global warming, Sea Surface Temperature. Thank you Bob. Watched. It is important to keep in mind that the clowns who run SKS are facing having their greedy snouts pulled out of the government funding trough in about 6 months. They are going into overdrive to try and influence the gullible. Thanks Bob. Clear and precise as usual. Where does the energy come from to naturally warm the water and then keep it there? You have thoroughly confused SkS with clear and precise factual information. Their ideology will not allow them to process the data. Oh, nevermind, I forgot, they’ll just remove the parts of the equation they don’t like! Moe asks “Where does the energy come from to naturally warm the water and then keep it there? I think Bob has explained elsewhere that natural variation in the trade winds over the Pacific (which blow away some of the cloud cover permitting more sunshine to warm the ocean) accounts for the accumulation of warmth in the Pacific Warm pool. I hope I have this correct! The 2015 skepsci video (based on Foster et al 2014) will be even funnier (“Sssssssoh. Is there ANY evidence for a slowdown in warming after we remove the Chinese aerosol cooling? Nnnnnnnnnno!). By that time the surface temperature will show even more of a lull (0.1 or less above the 81-10 average). The skepsci commenters will say (besides “awesome!”) that the Desperadoes were only using the satellite record because they want to deny the new GISS enhanced antarctic warming (now headed by Gleick who took over from Hansen). The steps up from one El Niño to the next is caused by the warm blanket of CO2. As with you book summary, I still can’t see how you are answering that explanation of the asymmetry between El Niño and La Niña. The step up from one El Niño to the next is caused by the warmer blanket of CO2. As with your book summary, I don’t see how you address that explanation. Moe, the short answers are the sun and the trade winds. Refer to the initial discussion from Chapter 1—with the cartoon-like illustrations—starting on page 16. I’ll be back online again in a few hours, if you have any other questions. Australia is supposed to called the lucky country. Well, we are very lucky to be inundated with AGW propaganda, multiple times, each and every day. These people know their job are now very seriously on the line and will be ditched this general election. So if I understand correctly, I am new to this, SkepticalScience account for the extra warm water by associating it with their man-made global warming hypothesis when in actuality it’s nature shifting water up to the surface? This isn’t quite right. Wouldn’t “blog run by advocates of recognizing a threat in human-induced global warming” be more accurate? Surely they don’t advocate global warming, just the amount and proportion of assignment of blame. And then what happens to that energy to cause the next ice age? I read your link, the charts really helped me understand the El and La. Reading the science causes my brain to freeze up. The charts don’t. to cancel out natural variability you actually need to know all factors, we don’t. If we did the models would not fail all the time. Let’s encourage SKS to produce more videos, more forecasts and bs for posterity. Unlike humans or any other media, the internet is a perpetual record of yesterday & today’s failed predictions. Bob you are a STAR! The ‘human’ is central to the ideology so yes its right to say ‘blog run by advocates of human-induced global warming’ for they want it to be true otherwise they have much to lose . berniel: It would be in your best interest to forget that “warm blanket of CO2.” There’s no such thing. Additional CO2 simply adds to the downward longwave radiation reaching the ocean surface. But, there is no evidence that infrared radiation from manmade greenhouse gases had any impact on the warming of ocean heat content data over the past 55 years or satellite-era sea surface temperatures. I’ve added an update to the post that includes links to two more videos that go into much more detail on the mechanisms that cause the natural warming and a link to an essay that provides a more detailed overview. A simple question from my scientifically-untrained mind would be: Why would the video try to eliminate natural forcings such as ENSO and and solar activity to predict a climate future when we know these variables will continue on into the future? Maybe I’m a little naive about the intentions of skepticalscience but it’s a fundamental question worth asking these fellows. Perhaps we should not confuse the warmists any more by introducing a question of heat from the core rising and heating oceans, anyone want to guess that heat input, let alone the underwater eruptions and upwelling of superheated water? The 20th century atmospheric temperature data supports the assertion that the majority of the 20th/21st century warming has not due to CO2 emissions. I support the assertion that a portion of the warming could be due to ocean oscillations, however, it should be noted the 20th/21st century warming is following the same pattern as the past warming and cooling cycles that are called a Dansgaard-Oeschger cycle (D-O). As the all of the past D-O warming/cooling cycle have correlated with solar cosmogenic isotope changes, it is likely that changes to the solar magnetic cycle have in the past and are currently causing the planet to cyclically warm and cool. What is missing is the mechanism. 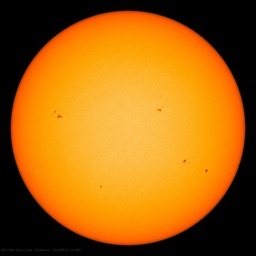 In the past when the sun abruptly changed from a very active stage to a Maunder minimum there was a delay of 10 to 12 years before there was cooling. The graph linked to below shows the cycles of warming and cooling that are captured in the Greenland ice sheet core proxy data. This is the site were the above graph was taken from. It appears other independent technical analysis supports the assertion that the majority of the 20th/21st century warming has not due to CO2 emissions. The following an excerpt from the EPA report (see below for a link to the very interesting EPA report). Computer models based on the theory of GHG/CO2 warming predict that the troposphere in the tropics should warm faster than the surface in response to increasing CO2 concentrations, because that is where the CO2 greenhouse effect operates. Sun-Cosmic ray warming will warm the troposphere more uniformly. The UN’s IPCC AR4 report includes a set of plots of computer model predicted rate of temperature change from the surface to 30 km altitude and over all latitudes for 5 types of climate forcings as shown below. This is a link to a review paper that was prepared by the EPA’s own scientist. The EPA and IPCC of course are completely ignoring the data and logic that indicates the majority of the 20th/21st warming not due to the rise in atmospheric CO2. I have (William: ‘I’ is the independent EPA scientist) become increasingly concerned that EPA has itself paid too little attention to the science of global warming. EPA and others have tended to accept the findings reached by outside groups, particularly the IPCC and the CCSP, as being correct without a careful and critical examination of their conclusions and documentation. If they should be found to be incorrect at a later date, however, and EPA is found not to have made a really careful independent review of them before reaching its decisions on endangerment, it appears likely that it is EPA rather than these other groups that may be blamed for any errors. Restricting the source of inputs into the process to these these two sources may make EPA’s current task easier but it may come with enormous costs later if they should result in policies that may not be scientifically supportable. Obviously the atmosphere cannot warm the oceans, so for GHG to be responsible for higher SST’s, it can only be the downwelling radiation, which as Bob says only penetrates to a few mm. Is there not a simple equation which can theoretically measure the amount of warming this could cause, taking into account that any theoretically warmer water would be mixed with 100m + of ocean below it? Should the plurals be Los Niños and Las Niñas? Bob Tisdale, thank you for another informative post. And I recommend Bob’s ebook to anyone interested in the climate. In other words, the latent heat from Pacific warming is the primary cause of Atlantic warming, not CO2 blankets. Another kiester-kicking of alarmies by skeptics. Way to go, Bob! Let’s also don’t forget that actual temps are down considerably from their peak in the 1930s despite the 40% increase in atmospheric CO2 since then – and down substantially since 1998, as recent severe winters and poor summers over most of the world have shown. A stronger, more convincing proof of zero correlation between CO2 and temps could hardly be imagined. – except maybe the historical record going back to the Hittite-Minoan-Mycenean war period, some 3,800 years ago. We don’t just have the last 16 years to prove the non-correlation – we have 3,800 years of records to prove it. Temps aren’t level since 1998 – that is only the best the alarmies at NOAA and EPA can do without it being too obvious they’re fudging the data. The effect of GHG on the atmosphere must be many, many times greater than on the ocean, due to the ocean’s much greater ability to store heat. (As usual. excuse my unscientific language!!). And as the ocean warms the atmosphere, rather than vice versa, you would expect that the increase in land temperatures would be several time greater than that of ocean temperatures. In other words, not much difference. Does not this indicate that SST’s have been increasing because of factors other than GHG? Thanks Bob you always delivers the goods. jakehearts the accountant, SkS’s goal was to show the residual heating was caused by mankind after removing their identified factors. The obvious problems are that: 1) Did they identify all the factors? 2) Was the amount accurate? so that the residual was also accurate? Bob shows us that the SkS ENSO factor was very wrong, therefore we can assume their residual heat answer is also. Not being a scientist, I performed an unscientific experiment in one of my bathrooms, a smaller one that has a tub. I’m simple-minded: I have to see things work. I filled the tub with hot water at 8 PM. I borrowed my neighbor’s Dyson Hot room heater, added three other room heaters, and plugged them in. Left the whole thing undisturbed overnight. The following morning, the room was broiling, the top of the bathwater was lukewarmish, the water at the bottom was cold. So I decided to leave it for another 24 hours to see if the hot atmosphere in the room would warm the bathwater as people, such as those at Skeptical Science, tell me is should. The surface of the bathwater was even cooler the next day. And the rest if the bathwater was bone cold. SkepticalScience is neither skeptical, nor science. Their “analysis” is simply an exercise in curve fitting, and the only thing it demonstrates is the efficacy of multivariate least squares fitting of time series. That method is robust, in that it always produces the best fit of the data to the series, but misleading in that it doesn’t really care if the data are related or not – it will always minimize the error between the model and the data regardless of any causal link. Normal Person: Can’t believe we’re still hung up that AGW kick — after 16 years w/o global temperature increase. Give it up, already! Typical Eco-Nutjob: Skeptical Science web site is down for me ATM, so here’s a YouTube video telling you why you are wrong. Very disappointing to see otherwise smart people sucked into this nonsense. Anyone that wants to help make a difference go over and help pound some sense into their thick skulls. The line is correct. Read it again, they advocate that humans are doing it. Linguistically — and perhaps pedantically — it isn’t correct. You’ve inserted additional words in it [“that humans are doing it”] with your restatement, making it correct. When you advocate something it means you’re for it, you’re in favour of it. When you advocate an explanation for something, that’s different: you’re just claiming the explanation is accurate. This isn’t rocket science. In both cases, the anomalies are positive, not negative as you show. Did you use a thermometer as a measuring instrument? My speculation is that you measured the temperature with your hand. In which case, you weren’t accurately measuring the water-temperature, you were (subjectively) measuring the contrast between the water temperature and the air temperature. And that’s an entirely different thing. What that would show is that the air temperature rises faster and more than the water temperature, not that increased air temperature does not raise adjacent water temperature. Bob: One added fact I’d suggest stressing is that man-made greenhouse gases are a very small fraction of total atmospheric greenhouse gas. When did we exchange one liar for a thief and an extortionist at GISS? Glieick?? Really?? You have done a great service to natural science. Bill H, my post was only hypothetical (satire). My take was that Dr. Tisdale was alleging that the Skeptical Science folks were advocating human induced global warming. I took this to mean that Dr.Tisdale was writing that they favored (supported) global warming caused by humans. Obviously it cannot be that. They clearly are advocating the THEORY that global warming is human induced, but that is not the same as advocating the warming itself. Don’t you hate it when people you mostly agree with screw up their statements? I know I do. When fiction strikes you as possible… Given the Obama Administrations track record of giving screw ups, liars, and thieves promotions…. this would not come as unexpected. talking to the Chinese about climate change, when they the Chinese criticized Australia for their apparent land care use and overall bush fire carbon polution input. They are one of the biggest polluters out, with the surface fires from poor coal mining techniques. Same as India and Indonesia. We have a smoking mountain near where I live, it’s being going for centuries. They can’t put it out, nor want to as it is a tourist attraction. It’s very clear –but I needed to read “Who Turned On The Heat” written by Bob Tisdale. It was explained thoroughly and clearly. The simple explanation is to understand that trade winds normally blow the warm equatorial waters westward… and stronger winds over a long period upwell colder deep water across the equatorial regions and push it west. That western Pacific water is held a bit higher from the winds pushing on it. Remember that part. This exposes colder water with dramatically reduced cloud cover (more cold and wind and fewer clouds). This is what causes la ninas. This cloudless event enables water to warm over a larger area along the equatorial regions. When the trade winds go to normal or reverse, then the western waters that were held up, fall due to gravity taking over and slosh all that heated water over the surface and it spreads around. That is sort of a natural supercharging effect which releases the stored warmed water. It’s pretty much all natural. ALL of the warming can been seen as having come from this process. It’s clear once you see it happening. Seriously – you sound like you are looking for answers and for less than a latte at Starbucks, you could own the book. It’s a good read. I read it over two nights. I’m worried about the suggestion that the atmosphere can’t heat the ocean. What are the implications of all this for my patent pending CO2 based loft insulation and water tank heater? I haven’t read Bob’s book, but whatever mechanism he proposes for the natural warming of the oceans, there is still the question of why there has been more natural warming than cooling in recent decades. It could be just normal variance, with cooling cycles to follow in the near future. Or there could be some process that is causing more natural warming or preventing natural cooling. Are there any possible explanations for the disconnect, or reasons to believe there will be cooling episodes over the next few decades? Bob thoroughly explains exactly your questions in his book. See my comment at April 8, 2013 at 10:24 pm. I cannot do his work justice, but you can read it –and I think you will feel like your questions are answered to your satisfaction. I have seen NO ONE who rebuts Bob’s work in this area. His work is not theory, it’s literally observation of where the heat goes and where it comes from. Why are some of the waves at the beach higher than others? It’s just a natural ebb and flow, in a system which progresses in waves. warm the world, and that naturally the world does not cool between them. Nino spreading its heat faster than La Nina spreads its lack of heat. Donald you “doubt it” because there is much more to the explanation. I’ve read the book he wrote on this. The first thing is to understand that trade winds normally blow the warm equatorial waters westward… from the Easter Pacific where it is cooler because of upwelling above Australia — Stronger winds over a long period upwell colder water from down deep that get blown across the equatorial regions since the wind pushes the water westward. That western Pacific water is held a bit higher (meters) from the winds pushing on it and the warm water accumulates down deep. Remember this part. This exposes colder water which is upwelled in the east with dramatically reduced cloud cover (more cold water and wind leads to fewer clouds). This is what causes la ninas. This cloudless event enables water to warm over a larger area along the equatorial regions –That cold water is exposed to more direct sunlight. When the trade winds go to normal or reverse, then the western waters that were held up and accumulating down deep, fall due to gravity taking over, and then slosh all that heated water over the surface where it spreads around. This is now El Nino. That is the natural supercharging effect which releases the stored warmed water which was down deep to the west. It’s pretty much all natural. ALL of the warming can been seen (and accounted) for as having come from this process. That’s why the warming events are sudden and then stay around for a while. It’s clear once you see it happening. This part is my thought. When the sun’s energy weakens (as it has been doing now for a few years) there is less supercharging during la ninas – and less stored warm water to the west. So, there will be fewer major El Nino events, and La Nina events will dominate. We have been in a slight cooling trend for a while now, and if the sun stays weak, we can expect more La Nina and fewer El Nino events. Asking questions are in fact nice thing if you are not understanding something totally, however this piece of writing gives good understanding even. Mario, I appreciate the explanation. So it seems that calling the warming “natural” is based on the hypothesis that La Ninas will be less supercharged in the future. That may well be the case, but it has yet to be seen. In my eyes, it is one possibility, with greenhouse gases being another. I’m not convinced of either one just yet. Again, I haven’t read Bob’s work yet, and I’m certainly not very knowledgeable about ENSO. But I think if skeptics want to ditch the “denier” label, they should invest more time and energy promoting this hypothesis rather than just attacking AGW scientists. This is NOT related to what Bob Tisdale explains. He shows what has been observed and follows the heat. That part is clear, and not a hypothesis. If I see you walk to your car, it’s not hypothetical that you walked to you car. My guess about the future is hypothetical. – They (CAGW and AGW crowd) are attacking prosperity through policies they should expect to be called out. Right, I’m not arguing against your description of Bob’s observations. It makes perfect sense. It just doesn’t really discount the AGW theory for me at least. The extra heat from AGW could be manifesting itself in the form of supercharged La Ninas, or by supressing cooling episodes. I’m not supporting the AGW theory, just pointing out that describing ENSO doesn’t really disprove it. Dishonesty arises any time money is involved, and there is plenty of money on both sides of this polarizing issue. I wish we could just spend our time trying to best understand what is going on with the climate, rather than engaging in ad hominem attacks. Since most readers of this blog already hate the AGW crowd, I’m not sure what good all of the attacks here are doing. That is not factual. The 1930’s were significantly warmer than any subsequent decade. The temperature record has been “adjusted” in order to show that the past decade was warmer, but that is an artefact, and the reason for the adjustment. You are correct in saying there is dishonesty because of the money involved. But 99% of the funding goes into the pockets of climate alarmists: more than $100 BILLION since 2001. And that is just federal grant money; it does not count immense piles of NGO/QUANGO loot. I think we are all trying to understand what is going on with the climate. And the obvious answer is: nothing unusual — despite the constant, mendacious efforts to alarm the populace with global warming scare stories. And those federal grants are not handed out to scientists or institutions that point out that there is nothing unusual or unprecedented occurring. Those grants go to the people who are promoting the AGW scare. Everything being observed today has happened — and to greater extremes — in the past, and before CO2 began to rise. But noting that fact does not produce grants. It is sad but true: lying about catastrophic global warming generates income; telling the truth does not. Brian: when you say ad hominem attacks, In reality, the attacks come from the AGW folks who lie about what CO2 is. By calling CO2 a pollution and taxing it or limiting CO2, they taking away our right to enjoy energy at low prices. Without abundant energy, life is brutal. People are in fact dying because energy has become more costly due to the attack on CO2. This is NOT hypothetical, it is what is happening now. At this point in time, it is safe to say that there is no evidence whatsoever of catastrophic anthropogenic global warming. It is anti-science to call CO2 a pollutant. It is a fact that because of AGW proponents, people have become misled all in the name of (false) science into believing we must do something… and that what we are doing is more costly than if their claims were in fact true. Those of us who understand this are the victims of those of us who propagate the untruth. PLEASE spend the $5 and buy Bob Tisdale’s book. I’ll buy it for you if you promise to read it and get back to us to tell me your thoughts. It’s actually written simple enough for people with an average high school level of knowledge to understand it, but not boring for those of us who are process control engineers. Trust me, you can verify all the sources which Bob uses to make clear observations. There is no opinion, just clear inarguable data from major sources laid out in an easy to follow book. And no – I don’t know Bob personally… I just found his book extremely illuminating, and you will too, based on your reasonable objections here. >>warm the world, and that naturally the world does not cool between them. >>Nino spreading its heat faster than La Nina spreads its lack of heat. >more La Nina and fewer El Nino events. subtracted from global temperature records. index before adjusting for 3 oceanic oscillations. are “resonant filters” as opposed to oscillating on their own. frequency of two can excite another. Well, that is really interesting. How does a change in sea currents produce warming? And if ENSO caused the warming, that means there had to be a change over time in ENSO. Was there? And what caused that change? It seems to me that you present an explanation that doesn’t actually explain anything. Hahah! I’ve now watched the video. So it’s a once-way naturals system, do you think?! If that were the case, why aren’t the Atlantic and Indian Oceans at boiling point yet? The only way is up! Gee, you must have a really low opinion of the intelligence of your audience…. !